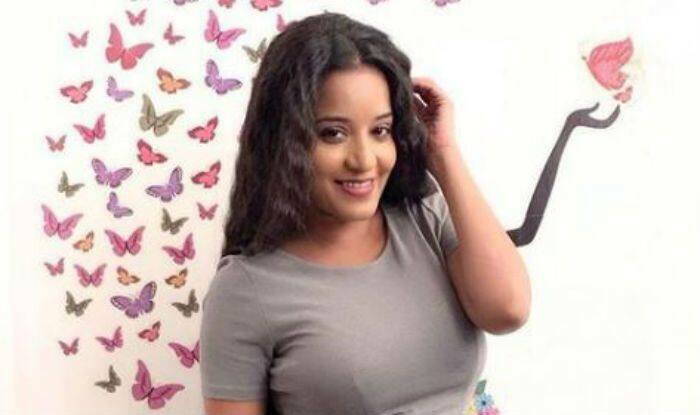 Bhojpuri actor Monalisa aka Antara Biswas, who is all set to put your screens on fire once again with her comeback on the supernatural show Nazar, has recently shared her picture in a very basic grey dress but looks gorgeous, as ever. In the picture, she can be seen donning a simple grey dress and is porting minimal makeup. She has kept her hair open and curly and it will remind you of her daayan (witch) avatar. Needless to say, she looks hot as she poses sensuously in her latest picture. The picture is proof that she is her favourite and there is no denying to it. On the professional front, Monalisa is back on Nazar in her daayan avatar and fans are delighted with her comeback. Well, now fans wait for the twist that she is going to bring on the show. Earlier, she featured in Divya Drishti along with Sangeeta Ghosh.